Dr. Surya Narayanan Natarajan is a High Performance Computing Researcher within Intel Innovation Labs Europe. Surya received his Ph.D. from University of Rennes 1/INRIA, France in 2015 and his master’s degree in computer engineering from Technical University of Delft in 2011. 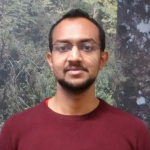 His research interests focuses on various aspects of computer architecture in general and performance analysis of High Performance Computing environment in specific.